These alder end tables with raised panel doors provided living-room storage and places to support table lamp on either side of an upholstered sofa,. They wound up with a dark, walnut-color finish. 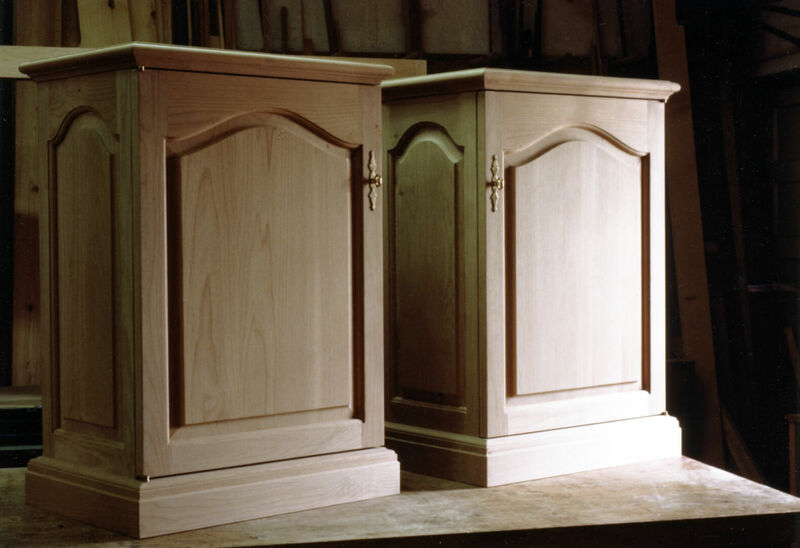 Alder has always been a good choice for dark furniture projects because of it’s affordable price, easily sandable character and ability to absorb color stains.